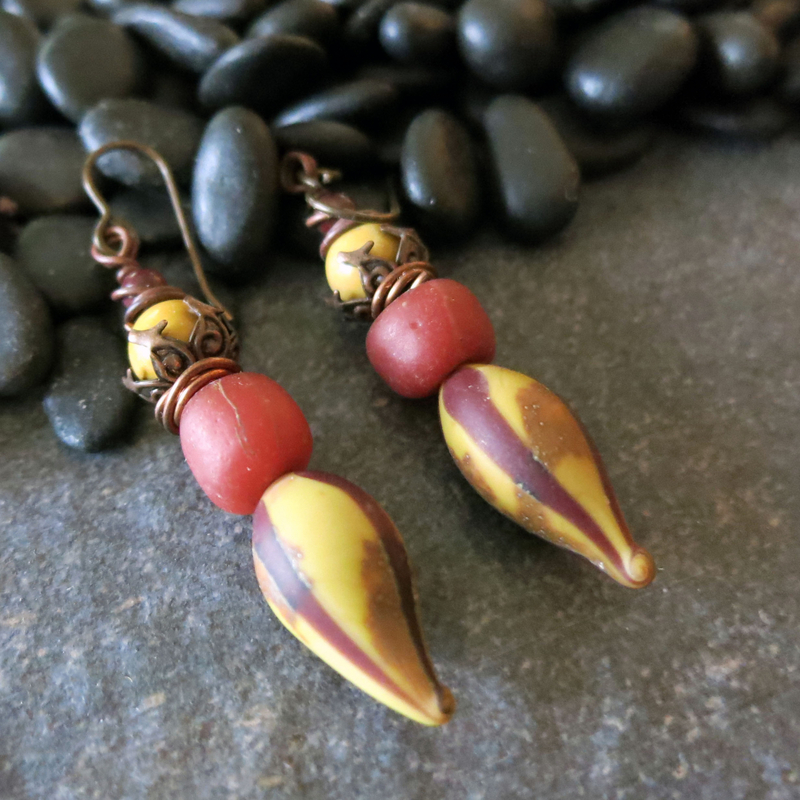 These striking earrings add a wow factor to any outfit. They are an outstanding accent for fall into winter wear. 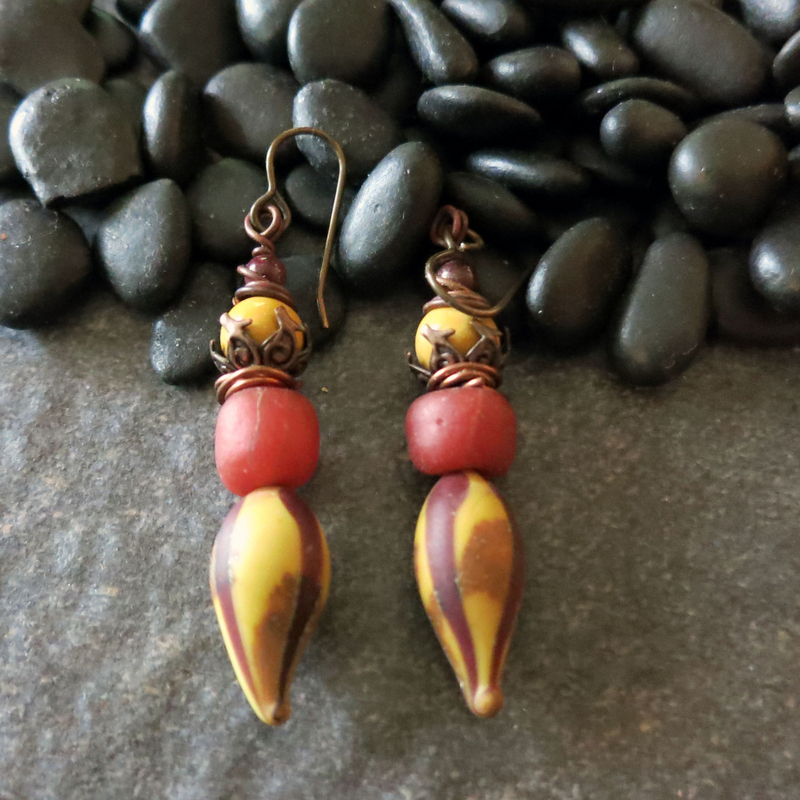 The earrings feature gorgeous, curvy, red and yellow, striped lampwork glass, topped with dark red, recycled glass beads and rings of copper wire. 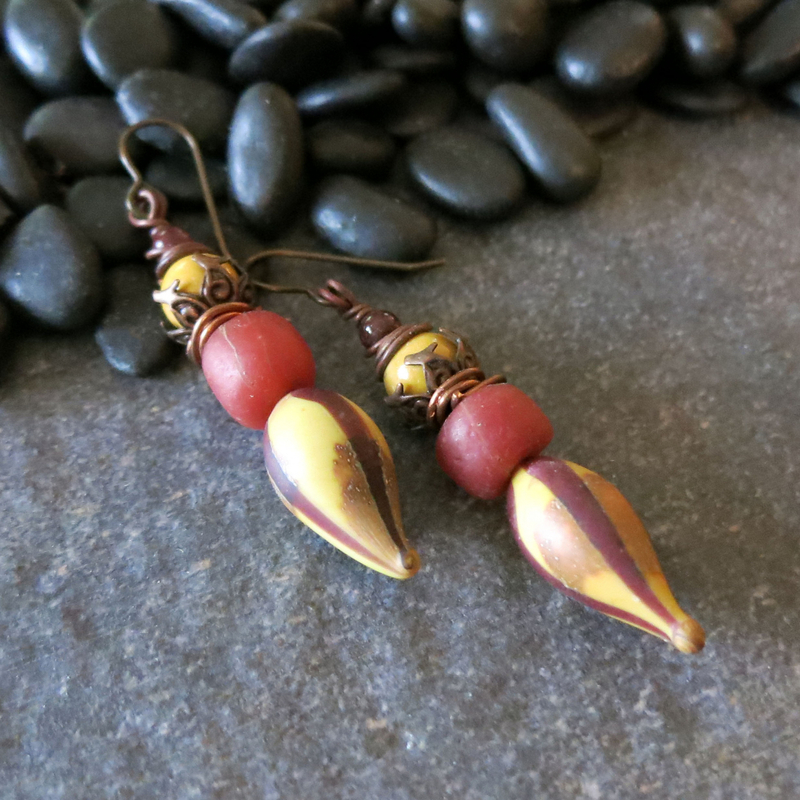 Next comes golden yellow mookaite beads that nestle in antiqued brass bead caps. 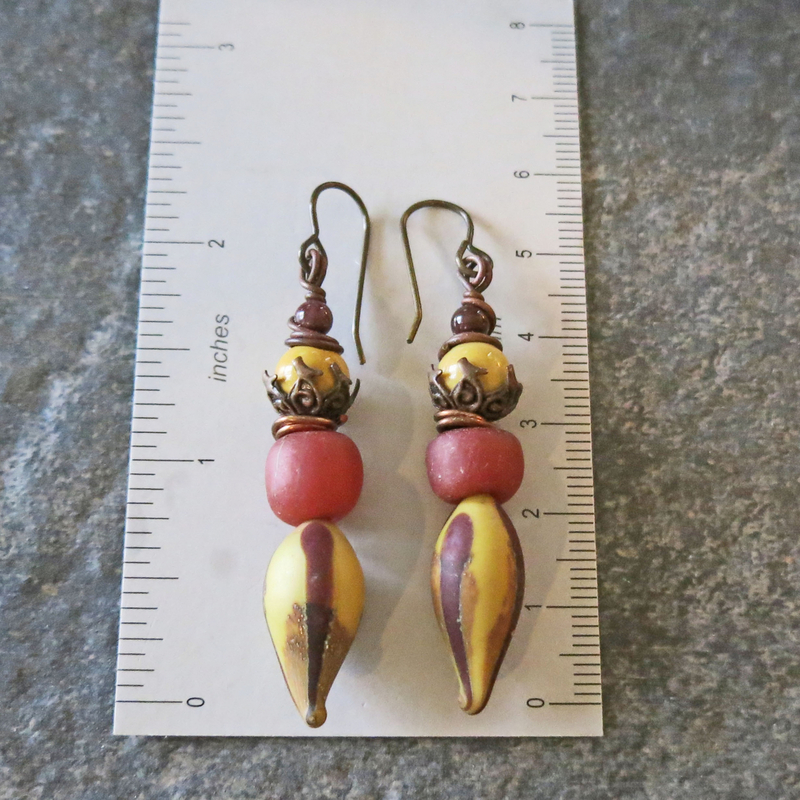 Then above that is more copper wire wrapping and smaller dark red mookaite beads with wire wrapped diagonally across the front of these top beads.